What is a Cross-Site Scripting Attack? 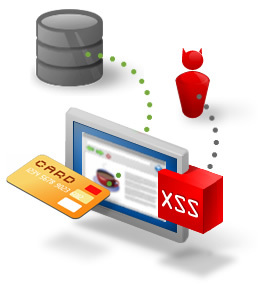 Cross-site scripting (also known as XSS or CSS-and not to be confused with Cascading Style Sheets) is a technique used by hackers to compromise websites and web applications. This technique takes advantage of weaknesses in the code of web applications, allowing the hacker to insert malicious code onto a website in order to collect some kind of data from the victim. Data stolen by hackers through XSS could be sensitive information including medical records, social security numbers and credit card numbers. The consequences of such an attack could be considered a petty nuisance to some, while to others it may pose a significant security risk depending on the nature of the data stored by the vulnerable website. The goal of many websites today is to do whatever is necessary to cater to their customers and potential customers. In order to offer their customers output or content based on their specific preferences and needs, websites must rely quite strongly on a multitude of various types of web applications. Unfortunately, with these web applications, these dynamic sites are at the mercy of XSS attacks. XSS is considered the most popular technique used to hack databases, accounting for approximately 85% of all security vulnerability attacks. In addition, you will find many other methods of attack such as Disclosure of Information, the Spoofing of Content and Stolen Credentials can be attributed to side-effects of the Cross-Site Scripting attack. It is said that as many as 68% of websites are vulnerable to the XSS attack and these XSS attacks have been going on since the 1990s. In order to combat XSS attacks, it is important to find a web developer that will put measures in place to prevent such attacks. A good web developer will be diligent in finding these security holes and developing security measures to protect your website from the risk of the Cross-Site Scripting Attack.